The LODGE and independent curator Audrey Landreth are pleased to present David Black: Cerro Gordo. 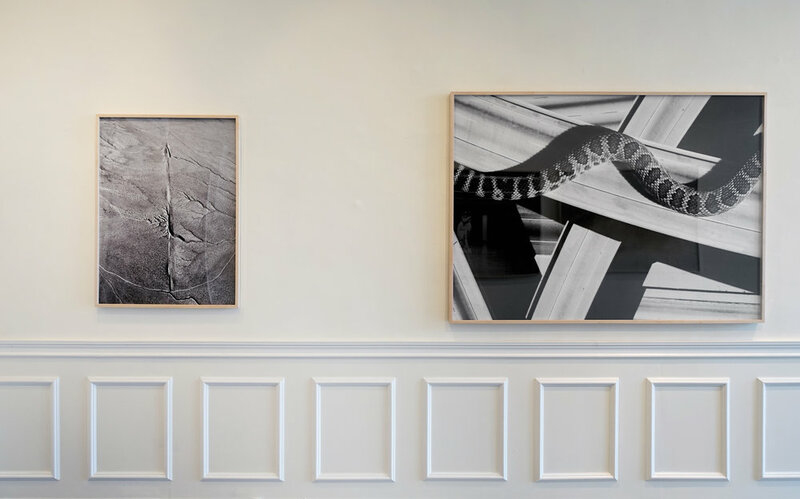 Timed closely to the publication of David Black's first monograph, Cerro Gordo by Hat & Beard Press, (December 2016), this exhibition of fourteen large format prints is Black’s first show at The LODGE and it is an official Month of Photography Exhibition. 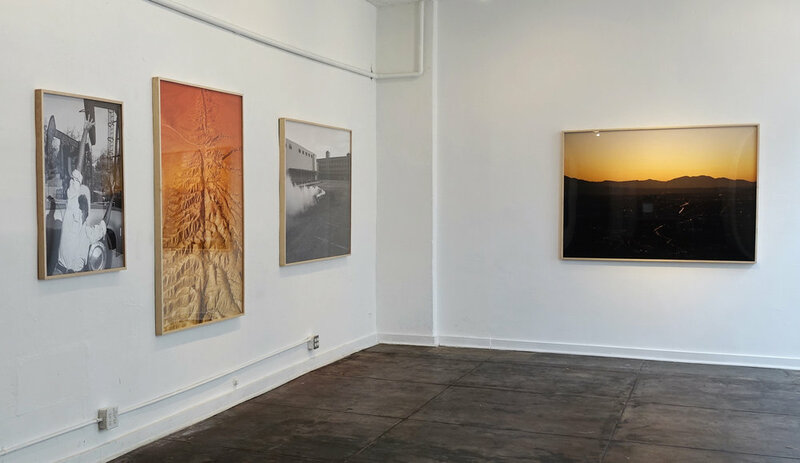 For photographer David Black, Cerro Gordo is a steep, windy street in Echo Park, where he lived during the years that the work for this exhibition was made. After the untimely death of his father in 2014, it was on this street that Black experienced both love and heartbreak. During restless nights and aimless drives through the streets of Los Angeles, these images came to him, and he followed them to actualization over the course of two years. The selection of work on view is a powerful showcase of vivid and plaintive visions of Los Angeles, and the paradoxical duality of the West. Cerro Gordo celebrates both the light and the shadow that sculpt the city's singular sprawl: the mechanical monsters that populate the oil fields; the cool cars that heat up the streets; the atmospheric haze that permeates all like a melancholic daydream; its unrelenting highways; its autopsied landscape; its diverse voices holding out for hope, and its steady stream of cowboys longing for the dream. David Black is a Los Angeles based photographer and director known for his iconic portraits of artists and musicians such as David Lynch, Daft Punk, Kim Gordon, John Cale, Cat Power, Marilyn Manson, Giorgio Moroder, Kendrick Lamar, John Lydon and Justin Bieber. His photographs can be seen in the pages of The New Yorker, Rolling Stone, and Interview. David studied at Cooper Union and the San Francisco Art Institute. His photos can also be found in the book Beyond the Beyond: Music from the Films of David Lynch, published by Hat & Beard Press. Audrey Landreth is a photo editor and curator living in Los Angeles. From 1996 to 2008 Audrey was a photo editor at magazines such as Rolling Stone, Interview and Entertainment Weekly in New York. She now works independently on book projects and contributes to magazines such as The Hollywood Reporter and Billboard. She has taught Editorial Photography at Art Center College of Design in Pasadena and organized shows for The Julius Shulman Institute, The Yale MFA program, MOPLA, SoHo House, and Giant Artists.